The Belles has been on my "must read" list for quite some time, but before reading the first few pages, I was already starting to feel the hype pressure. You know what I'm talking about? That feeling when a novel is talked about and talked about and then you start to get nervous you might not like it and be excommunicated from the book world??? Well, I got that feeling. And sadly, I think the feeling was warranted. Don't get me wrong, the novel wasn't bad... It was good. But I just don't think it lived up to the ridiculous hype (which is quite hard to do, honestly). The story line in The Belles was definitely unique and interesting. I enjoyed getting to know each of the characters and their personalities, but something just continued to fall flat for me. I felt like the novel was a bit predictable. Even the "plot twists" were pretty predictable. I also wasn't a huge fan of the love interests. I just kept having the feeling of wanting more from the characters. But enough about what I didn't like. Let's talk about the good stuff! I looooooved the world building. I could perfectly imagine the beauty products and gorgeous elaborate dresses, and the palace seemed magical! I think the mini animals were quite possibly my favorite part of the book. I think I would want to have a mini panda bear! Clayton's magical world reminded me a bit of the Capitol in Hunger Games and I loved it. 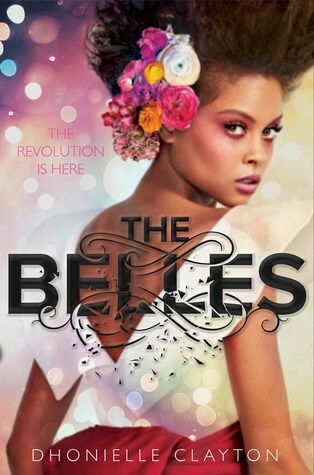 All in all, The Belles was an interesting novel that explores identity, self esteem, confidence, and the world of privilege. I had a few issues with the pacing and depth of characters, but overall it was an interesting read and I look forward to reading the second novel. Thank you to Disney-Hyperion and NetGalley for sending the novel in exchange for an honest review.